@tcarriermusic dropped a fire 14 track album last month. 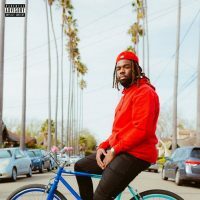 Fresh off the drop of this album, the San Francisco rapper also put out a visual for his song “I Don’t”. All 14 songs go off! Produced by T. Carriér himself, “Let That Marinate 2” is full of slaps. Check it out in the player above.